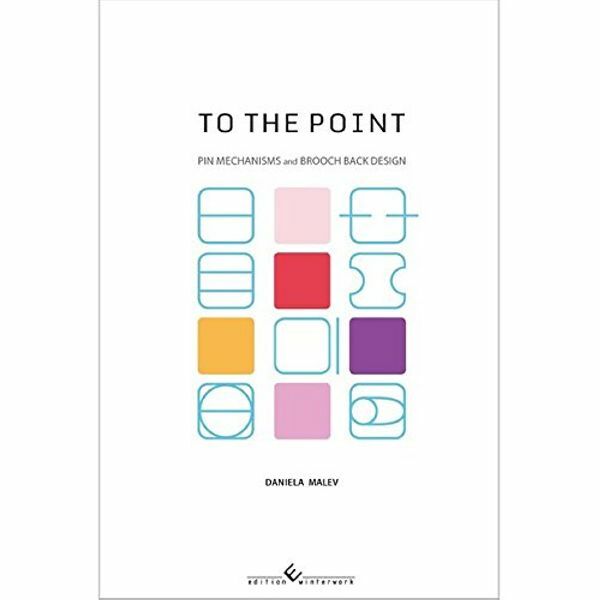 TO THE POINT is a compendium on brooches in their entirety. With more than 300 images it showcases brooches of 111 international artists and includes profound essays on the phenomenon and history of the brooch by Liesbeth den Besten and Julia Wild. It is both: a teaching book on brooch back mechanisms with lots of pictures, details, drawings and explanations, and moreover, also a wonderful picture book for every lover of contemporary jewellery and brooches. wearer, but goes beyond being a mere functional and invisible part of the backside. It should be an essential part of the brooch in terms of content and aesthetics. through a great collection of images. It presents solutions and possibilities in generating pins and catches and shows examples of how to integrate the technical devices into the whole design of the brooch.